/ The Nose Piercings Bible – Amazing Photos & Everything You Need To Know ! Nose piercings have become super popular with both men and women over the years. Even celebrities, male or female, are getting their nose pierced by reputable piercers. There are different types of nose piercings, which we will be talking about today. Also, make sure to keep on reading, as we will discuss how to take care of your piercing, how much it will take to get one, how painful it really is, and how to properly take care of it. 2 What are the Different Types of Nose Piercings? 4 Are Nose Piercings Super Painful? 4.3 Will I Tear Up During the Procedure? 4.4 What is the Least Painful Type of Nose Piercing? 4.5 How Long will my Nose Piercing Hurt? 5 How Much Should I Prepare for a Nose Piercing? 8 How Long will it Take for my Piercing to Heal? 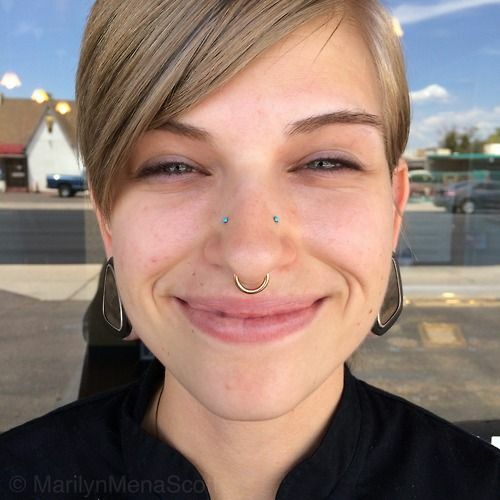 A couple of nose piercings done on a woman. Getting a nose piercing involves having a needle inserted through a certain part of your nose. It can be inserted through a skin or a cartilage, depending on the area or location of your piercing. The nose is the second most popular body area to pierce next to the ears. What are the Different Types of Nose Piercings? 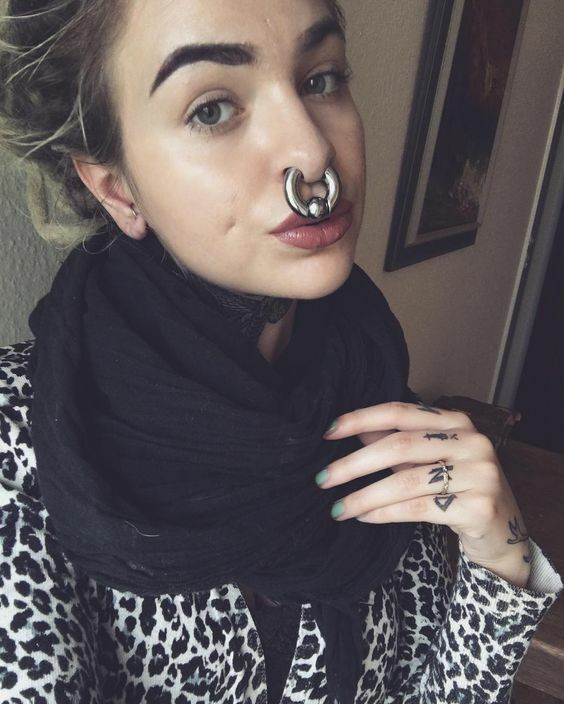 Piercers and piercing enthusiasts always find new ways to pierce the nose. This means that even you can decide where to get your own nose piercing, as long as your doctor and your piercer says that it is a hundred percent safe to pierce your chosen area. If you want to learn about the usual nose piercings for inspiration, then make sure to keep on reading. 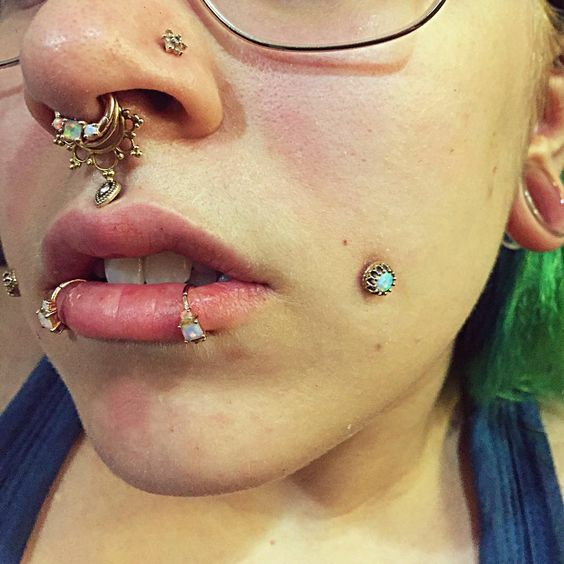 A bridge piercing on a girl’s nose. The bridge piercing is located at the bridge of your nose, hence the name of it. You would think that the pain would be excruciating, as you would imagine that the piercing would have to be pierced through your nose bridge’s bone. Well, you will be glad to know that all of that is a myth. When you ask for a bridge piercing, the piercer will only pierce the skin on the bridge of your nose. They will not touch the bone or even the cartilage, which is why you should go to a reputable piercer – to make sure that everything will go well and that only the skin will be pierced. However, there is one drawback to the bridge piercing. This is called migration, wherein your body will try to reject your piercing and will attempt to push it out. The body does this to prevent foreign objects from coming into the body and the skin and is a way for it to protect the body from harmful organisms. This does not mean that the bridge piercing is typically harmful to you or your body, it just has a naturally high chance of doing this when it comes to this type of piercing. To avoid this (you really can’t, you just have to hope for the best), you must opt for a curved barbell rather than the straight barbell as your piercing jewelry. This will not totally eliminate the chances of migration, but it will definitely lessen it. The nasallang piercing is probably the most complicated out of the bunch. It would look like you have two symmetrical piercings on both sides of your nostrils when in fact, you have three. The needle will first go through the first nostril, through your septum, and then lastly, through your other nostril. The piercer has to be a reputable and experienced one and someone that you would fully trust, as this type of piercing is truly difficult to execute. This also means that you will have a harder time cleaning it afterwards, as you would have to take care of three piercing holes, namely on both sides of the nostrils and on your septum. 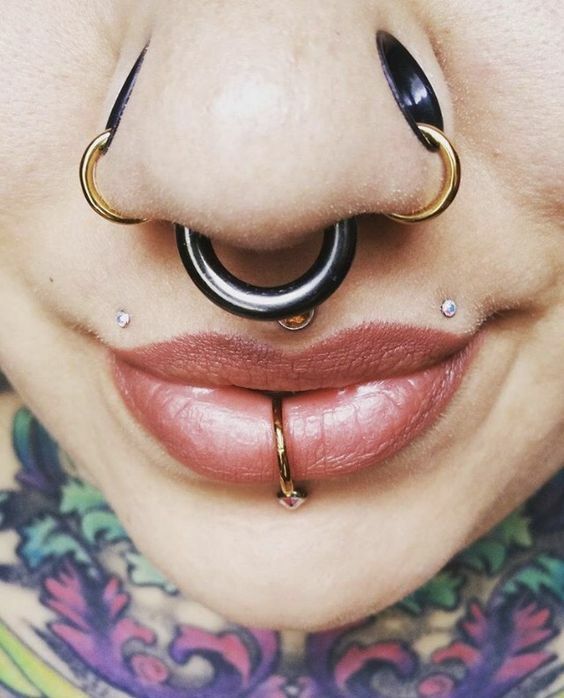 A septril and bridge piercing both done on a woman’s nose. This type of nose piercing must be planned well and should never be executed on a whim. This can be very painful, so make sure that you have done your research and that you are physically and mentally prepared for the piercing. 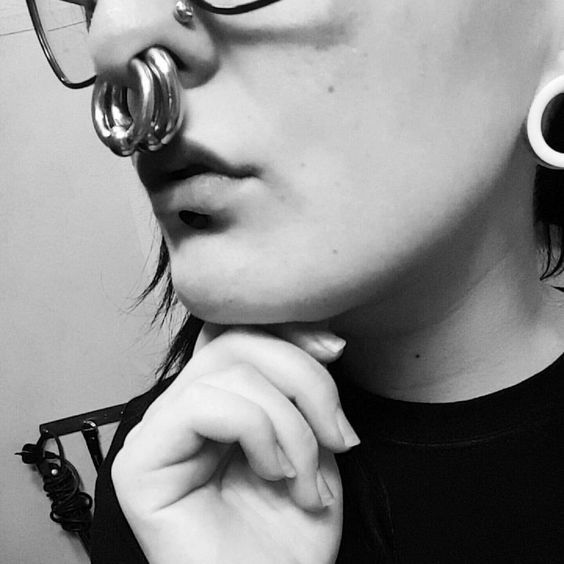 To be able to get a septril piercing, you must already have your septum piercing gauged and extended. This is because the needle will go through your septrum piercing and will exit below the tip of your nose. Only an experienced piercer should be able to the job. The nostril piercing is the most simple and common type of nose piercing there is. This is the type of piercing that celebrities choose to have, as it is very easy to maintain and clean. Aside from that, it is also very pleasant to look at. For the nostril piercing, your piercer will then insert a needle into your nostril, which can be placed on either side of your nose. You have the freedom to choose the jewelry for this type of piercing – a simple stud, circular barbells, or the most common of all – the hoops. Prepare to tear up and feel a sharp pain as the needle enters your nostrils, as the nose is connected to our eyes. A high nostril done on a beautiful lady. The high nostril piercing is basically a nostril piercing as well, only higher. This is done above the usual nostril piercing, which is located at the crease of the nose. Only studs and L-shaped pins are used for this type of piercing, as hoops are technically impossible due to the location of the piercing. The area is harder to pierce than the regular nostril piercing and should only be done by experienced piercers. 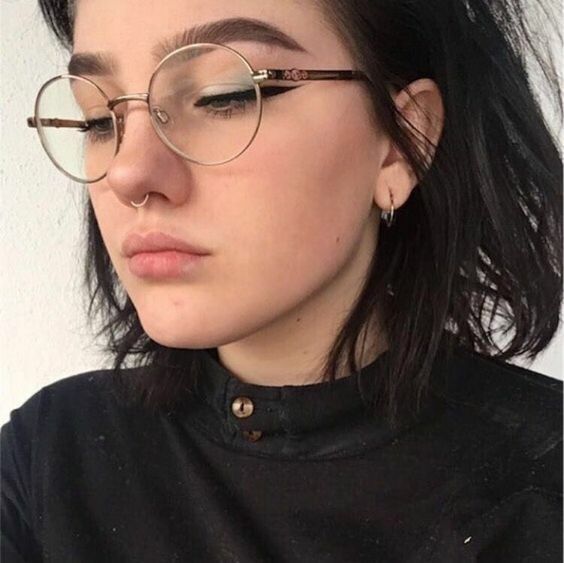 A simple septum piercing on a beautiful girl. This type of piercing goes between your nostrils, on that skin that you have at the bottom of your nose. You have to pay your piercer a visit before getting this done to make sure that you are qualified for this type of piercing. People with a deviated septum simply cannot get the piercing done, as it is dangerous and virtually impossible to do so. One amazing thing about the septum piercing is that it can be hidden from the public if you want or need it to. This is especially important if you have to hide for an important interview, or if you simply want to go to work with your piercing hidden. Make sure to get a jewelry that you can flip on the inside of your nose to make your piercing virtually invisible. An amazingly done vertical tip piercing on a girl. Vertical tip piercings are not usually seen on people, even on piercing enthusiasts. To execute this piercing, the piercer will insert the needle through the tip of your nose down to the bottom of your nose. You can expect to feel more pain when it comes to this piercing, as the needle will go through so much skin and flesh, as well as the cartilage. You should use a curved barbell type of jewelry to be able to have this type of piercing. Again, only experienced and expert piercers should handle this type of piercing – and any type of piercing, for that matter. The first thing that the piercer will do before having you sit down on the chair is to give you all the paperwork needed and have it signed by you. The paperwork will most likely be consent forms that will clear the piercer from any type of blame if you ever develop an infection or whatnot. Make sure to hire a reputable piercer to do the job for you to avoid these types of problems. A couple of ear and nose piercing including a septum and nasallang. Once all of that has been settled, it’s time for the piercer to wear a sterile pair of gloves. They will also grab a sterile and hollow needle to pierce your nose. Next, they will make a mark on your preferred area on your nose. This is where the needle will be pushed through and where the jewelry will be inserted later on. If you feel like you want to adjust the location of the piercing, then go ahead and tell your piercer right away. Once you and your piercer are both good with the placement, it is finally time to pierce the area. For nose piercings, your piercer should use a hollow needle and not a piercing gun, as piercing guns can give you a high chance of contracting an infection. It can also cause a huge amount of tissue damage, which can affect the healing time of your piercing. You are almost done – all the piercer has to do is grab a piece of tissue or cotton and clean the blood that dripped off of your nose. Make sure to listen to the piercer’s aftercare instructions. Take a mental note of everything or better yet, list it down to avoid forgetting it. Grab your phone or a pen and paper and save your piercer’s contact number as well, so you’d know where to call them if ever you are having problems with your piercing. Are Nose Piercings Super Painful? 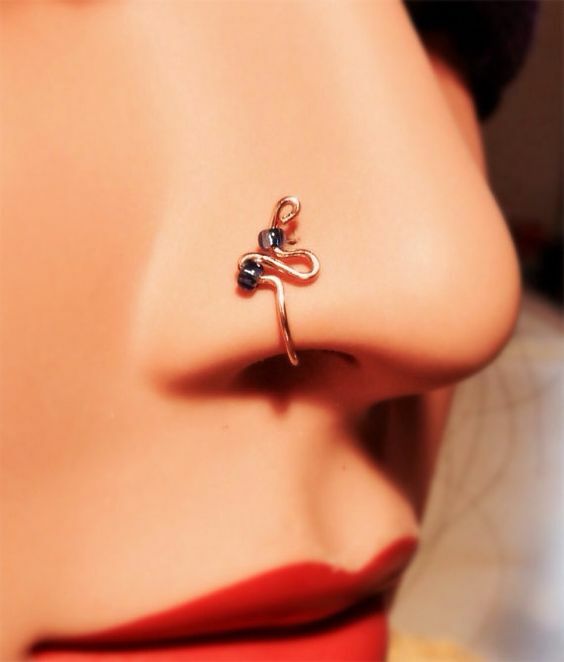 If you are wondering whether nose piercings are tolerable or not – the answer to that depends on your pain tolerance. The pain will also most likely depend on the area of your nose that you are getting your piercing done. 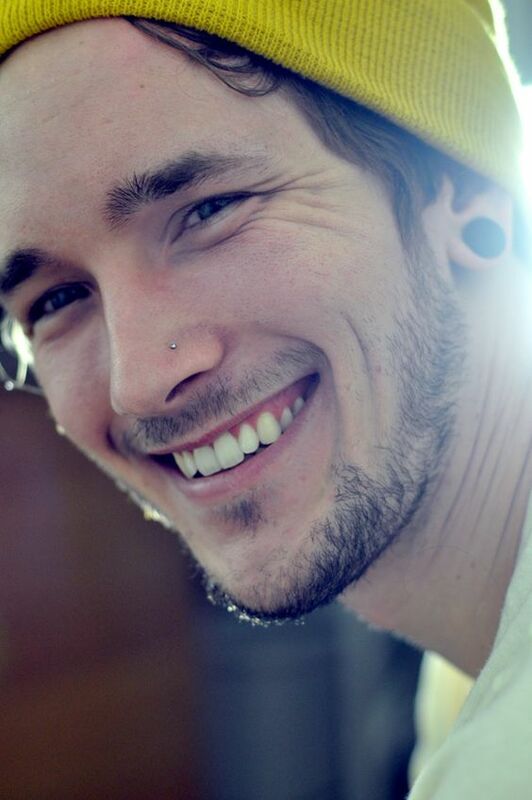 Double nose piercing on a guy. 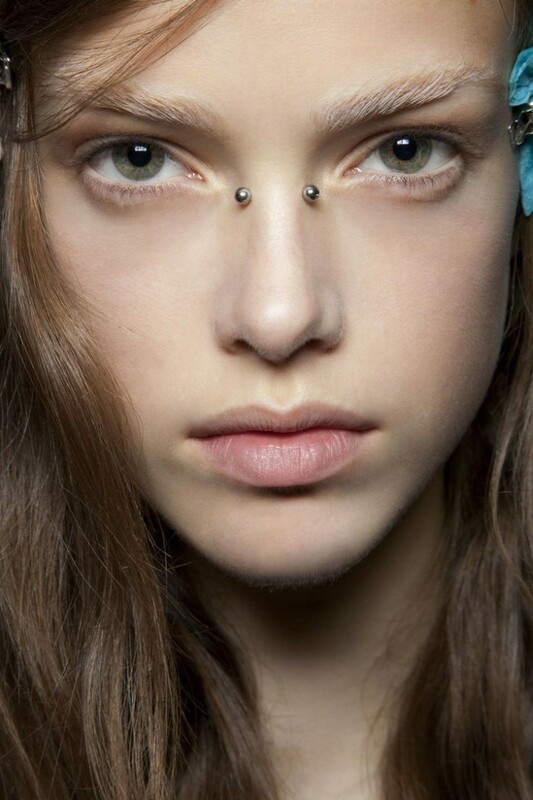 A piercing is still a piercing, no matter where the placement is going to be. A foreign and sharp object will be inserted to into your skin and of course, this part will hurt. The pain level will really depend on your pain threshold, so if you can tolerate a little bit of pain, then chances are you won’t be tearing up after your nose piercing is done. If you flinch at even the smallest type of pain, then you might want to rethink your decision of getting any type of piercing done. If it helps, the initial pain will only last for a few seconds. What you really have to deal with is the pain afterwards. For most people, the nose area is packed with thousands of sensitive tissue. Because of this, you can expect the pain to be a little more intense compared to those people whose noses are not that sensitive. If you want to get an idea of how painful the piercing will be, go ahead and pinch the area on your nose that you want to get pierced. Add a little more pain to that and you are probably good to go. Will I Tear Up During the Procedure? There is a huge chance that you will tear up during the procedure. The nose tissue is connected to your sinuses and usually, whenever your nose gets irritated, it sends nerve signals for the eyes to well up. This is a usual phenomenon with nose piercings and there is nothing to be scared of when you feel your eyes watering during the session. What is the Least Painful Type of Nose Piercing? As we have mentioned earlier, the pain really depends on the person’s threshold. However, for most people, the least painful type of nose piercing is the nostril piercing. It definitely will hurt more than an earlobe piercing, but the pain is pretty much comparable to that of a simple ear piercing. For most people, the most painful type of nose piercing is the septril piercing. The healing time is also a bit longer for this type of piercing, and you would need to find an expert piercer if you want to get this piercing done. It is a little bit more complex and difficult to execute, even for the most experienced piercer. How Long will my Nose Piercing Hurt? The sharp and initial pain of a nose piercing will be over in just a few seconds – around 3-5 seconds to be exact. However, you can expect your nose piercing to be sore and tender after a few days of getting the piercing. If you experience tenderness, soreness, and redness in the area after weeks of getting the piercing, then go ahead and give your doctor a visit. You might be suffering from an infection, especially if it is accompanied by any type of bump or scarring. Make sure to follow your piercer’s aftercare instructions to make sure that your wound will heal properly. How Much Should I Prepare for a Nose Piercing? There are certain factors that can influence the costs of a nose piercing. 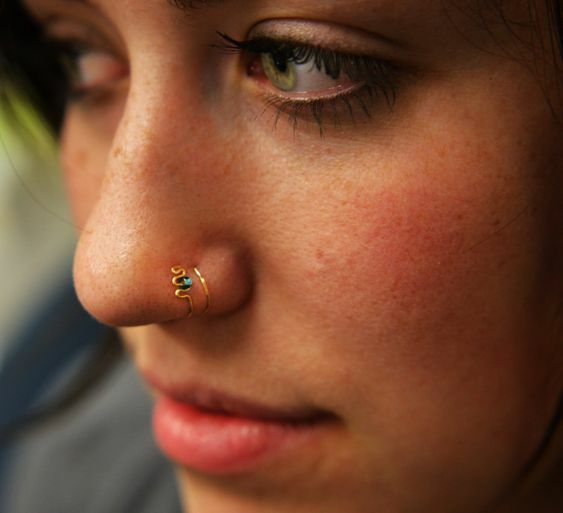 In the United States, you can get a nose piercing for around $25 – $100. This amount will still depend on certain factors and below, we will discuss what those are. 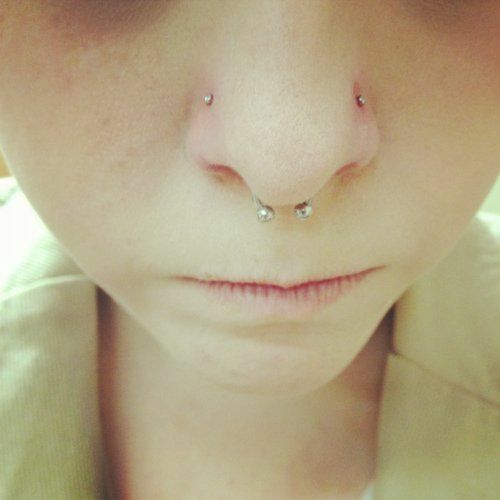 Here is an extremely stretched or gauged septum piercing. There is nothing wrong with going to a piercer that is new to the business, but if you have the budget to go to a more experienced piercer then by all means, go ahead and do so. By going to an experienced piercer, you lessen your chances of contracting an infection or a disease. If your piercing is perfectly done, you can expect it to heal faster – as long as you follow your piercer’s aftercare suggestions. However, if you are going to a more experienced piercer, then you can expect to pay more for their services, as they are usually more in demand than the newbies. A studio or a piercer can gain popularity through word of mouth. This is especially true if a celebrity endorses them or suggests them to other people. Well-known piercers and studios tend to charge more than the usual piercers, and you are mostly paying for their name when you get your nose pierced by them. Studios that are located in bigger cities and fancy towns tend to charge more. They are paying for a huge amount of rent and thus, they must keep their prices high as well. The overall cost will also depend on which nose piercing you are trying to get. Nostril piercings are technically simpler than the rest, which is why it is the cheaper among the bunch. You can expect to pay a lot more for complicated piercings such as the septril, septum, bridge, high nostril, nasallang, and vertical nose tip. The type of jewelry that you will choose for your nose piercing will definitely play a huge part when it comes to the costs. Diamond studs and precious stones and metals will definitely cost you heaps amounts of money, so if you want to get a really fancy jewelry, then prepare to pay a lot. If you just want to stay away from allergic reactions and are looking to get a titanium piece, then this would be a more practical choice, as it will cost a lot less than the diamonds, metals, and stones. It would be best to splurge a little bit on the jewelry though, as cheap stainless steel jewelry can cause negative effects on your piercing and your health in general. If you are worried about this, then make sure to opt for the more expensive ones and steer clear of the ones that contain nickel. It’s always best to explore your options and choose the best type of jewelry for your own taste. Not only will it be aesthetically pleasing, it will be beneficial for your health, too! Piercings should never be done on a whim, as this can cause lots of problems in the future. For example, if you go in drunk, then chances are you will bleed so much. Alcohol is a blood thinner and if you get wounded or pierced when you are intoxicated, you can lose quite a huge amount of blood. Also, piercers and tattoo artists are not allowed to do a procedure for intoxicated customers. 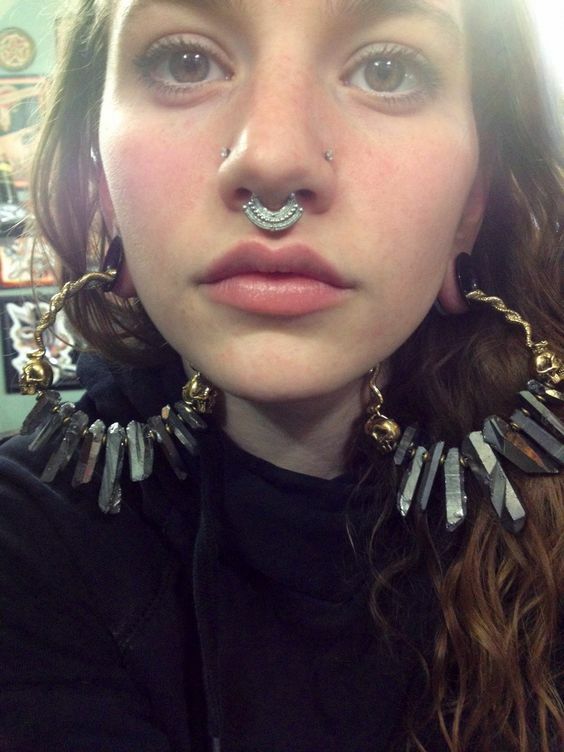 A huge jewelry for a septum piercing. First off, you should look for a reputable piercer that will properly do the job for you. Do not risk yourself or your health just for the sake of getting a cheaper piercing – trust us, it is not worth it. Ask for recommendations from your friends that have the same piercing and give that piercer a visit. Ask them questions and ask them to take you on a short tour around the shop. If you are contented with what you are seeing, then go ahead and schedule a booking with them. While you are in their shop, you can go ahead and ask your piercer a few questions. Have them take a closer look at your nose to see if you are qualified for a certain nose piercing. If you are planning on getting a septum piercing but your piercer finds out that you have a deviated septum, then you would not be qualified for the septum piercing. The best thing that you can do is to ask them if you can replace it with another type of nose piercing and if it is safe to get it. If you are looking to get the bridge piercing but you’ve had migration issues before, then chances are your piercer would not allow you to get the bridge, as the migration will most likely happen again. Sure, you can get them right after your piercing, but it would be best to have these ready even before you go into the shop for your booking. Do your research and ask your piercer what products you need to buy and buy these right away. Going in for a piercing while you are sick can greatly affect your healing period. 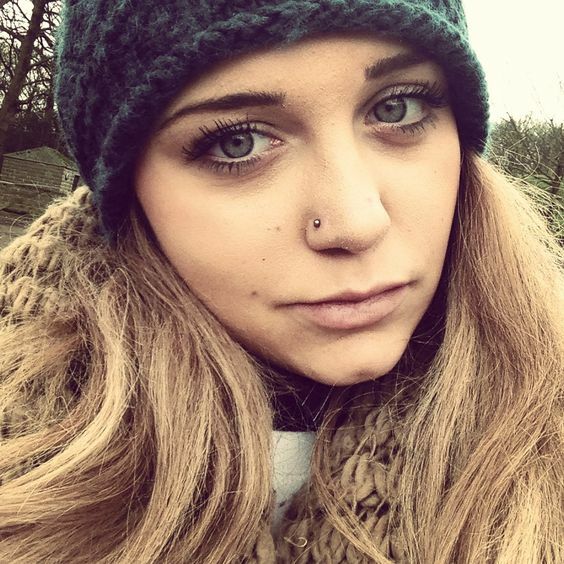 Avoid going in for a nose piercing when you have a cold, as this can only make matters worse. Wait until you are all good and cleared by your doctor before you get your piercing. It would be best to just reschedule your booking than go ahead and get the piercing just for the hell of it. You must get enough sleep and rest before you get the piercing done. Make sure to get 8-10 hours of sleep the night before your piercing so you will have the energy to go through the piercing without feeling nauseated or sick. Caring for your nose piercing is just like caring for any other type of piercing. You have to make sure that your hands are always clean before touching your piercing and that you are cleaning it just right – not too often and not at all. 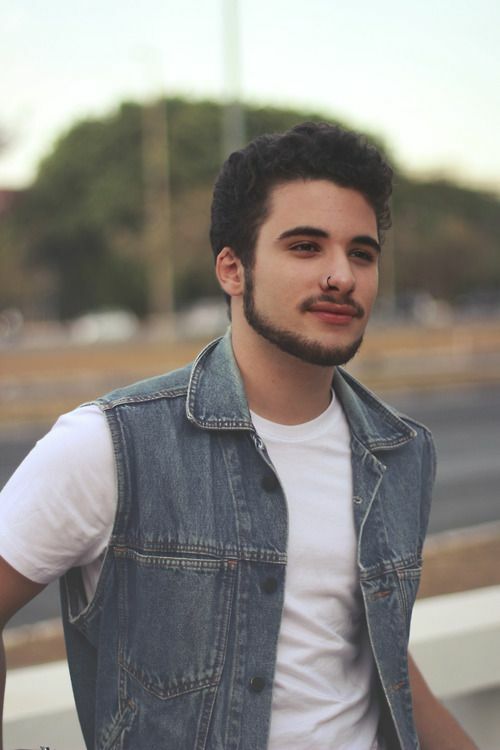 A simple septum piercing on a guy. The best way to clean any type of piercing is with a saline solution. It is important to note that table salt is not a good choice when making your own solution. You should instead opt to use fine grain sea salt, which you should mix with one cup of distilled warm water. Stir it until the sea salt is completely dissolved. If you find this to be too much of a hassle, then go ahead and ask your piercer if you can buy a ready-made saline solution from them. Most reputable shops and piercers have these, and you can get them for a couple of bucks. After making the solution, go ahead and dip your nose into the solution and hold it for a couple of seconds. You can also get a clean cotton ball, dip it in the solution and pat it on your nose gently. Hold it for about three minutes then pat the area dry. No matter how much you clean the area, piercing crust can still form in the area. Never try and pick the crust away with your bare fingers, as this can cause your wound to be bigger, leading to an infection. Use a cotton bud dipped in the saline solution then gently pat the area with it. Alternatively, you can also spray the saline solution on the area, wait a little while, then pat the area dry. Moisturizing your piercing will help it heal faster. This will also lessen the possibility of crusts forming in the area. Mix a small amount of unrefined coconut oil with a little bit of tea tree oil. Use a cotton ball or a swab to apply it on the piercing. Never pull or rub the area; just dab gently to make sure that the area is being saturated with the mixture. Certain ingredients can irritate your piercings. These include alcohol, hydrogen peroxide, strong antiseptics, and antibiotic ointment. Make sure to steer clear from these and stick to your saline solution when cleaning the area. You might think that you are cleaning the piercing thoroughly if you use these things, but it is actually the opposite. These irritants can make matters worse and can even lead you to an infection. Remember to clean your piercing twice to thrice a day with the saline solution to keep the bad bacteria away. The healing time depends on which nose piercing you are getting. Simpler ones such as the nostril piercing will only take about two to four months to completely heal, while the more complicated ones such as the bridge can take up to ten weeks or longer to fully heal. 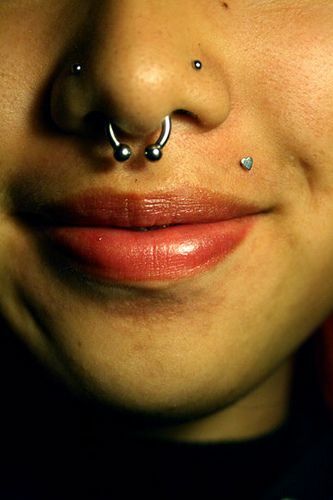 Septum piercings are the longest one to heal and can take about six to eight months before it fully heals. Famous female singer and celebrity Miley Cyrus sporting a nostil piercing. You can ask your piercer about the healing process and how long it will usually take for your nose piercing to fully heal. You can also ask them when you can change the jewelry – you should never attempt to change it if it is not fully healed just yet. Just like with any type of piercing, your nose piercing can get infected. There are certain things that can contribute to a nose piercing infection, and you must always be careful not to contract those. Amazingly done nose tunnel piercings. Using a Piercing Gun. As we have mentioned earlier, using a gun for any type of nose piercing is not ideal. Sure, it is easier to use, but piercing guns are really difficult to fully sanitize. This can lead to an infection, so make sure to ask your piercer to use a hollow needle for your nose piercing instead. Swimming Pools and Public Baths. Swimming pools and public bathing areas such as lakes, rivers, and the ocean is usually shared by hundreds and thousands of people, not to mention the organisms that live in lakes, rivers, and oceans. Water is a carrier of bacteria, which means that when you bathe in a body of water that is infested with different types of bacteria, then chances are you will contract it, too. Make sure to steer clear of public bathing areas until your piercing is fully healed. Using the Wrong Type of Jewelry. Certain metals such as nickel can cause a severe allergic reaction for most people. Make sure to get yourself tested for any type of allergic reactions to different metals and steer clear of what you are allergic to. Touching the Area. Touching the piercing with unclean hands can easily give you an infection. Make sure to clean your hands before touching your piercing to avoid any type of infection. Redness. 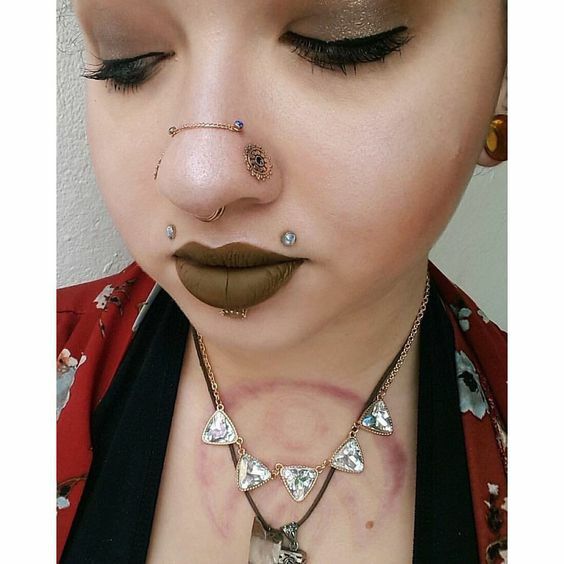 Sure, the pierced area will be red for a while. However, if you notice that the redness does not go down even after a couple of days or even weeks, then go to the emergency room right away and have it checked by a doctor, as this can easily be a sign of infection. Extreme Swelling. Another thing to watch out for is extreme swelling. If you see any bumps or raised area around your piercing, then do not attempt to drain it. Instead. Head to the nearest hospital and ask for help. Pain and Tenderness. It is usual for the piercing to be a bit painful and tender after the procedure, but extended pain and tenderness can often mean an infection. If you see any bloody or yellow discharge coming out from your piercing, then that is a clear indicator that you have an infection. The yellow substance is most likely pus, so make sure to check with your doctor once you notice this. A fever is usually an indicator that your body is dealing with a major infection. If you get a fever, then head on to the nearest emergency room, as the infection may have spread out to the rest of your body, causing you to have a fever. Always listen to your piercer’s aftercare instructions and follow it to a T.
Here are a few more photos and examples of different nose piercings. Enjoy looking at them! 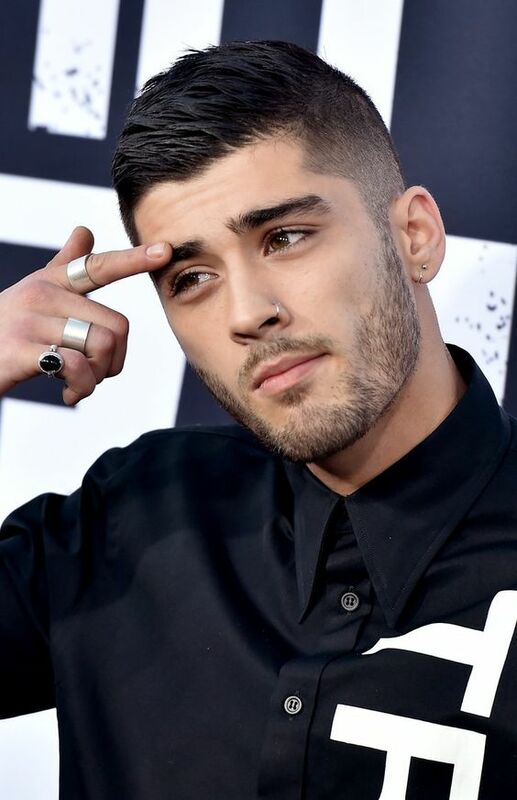 Well-known singer and former One Directione member Zayn Malik with a hoop nose ring. 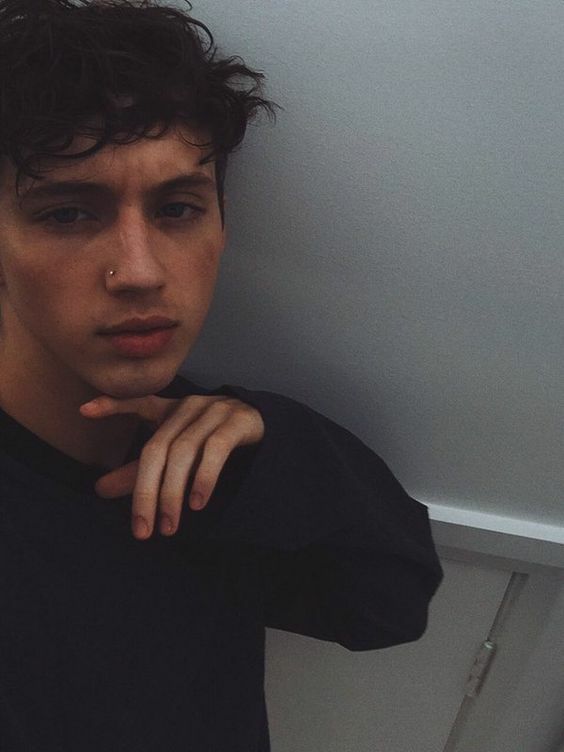 Famous singer Troye Sivan wearing a nose stud. A simple stud jewelry for a man’s nose piercing. Lip, facial, and nose piercings on a lady model. 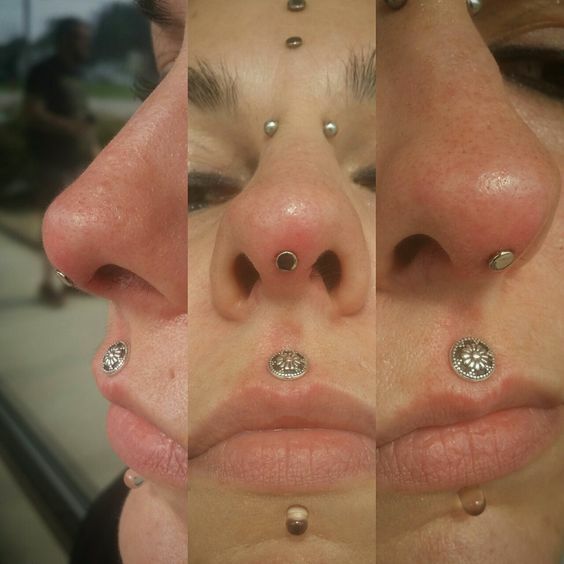 A stud jewelry for a nostril piercing. A pretty nostril piercing done a on a lady. 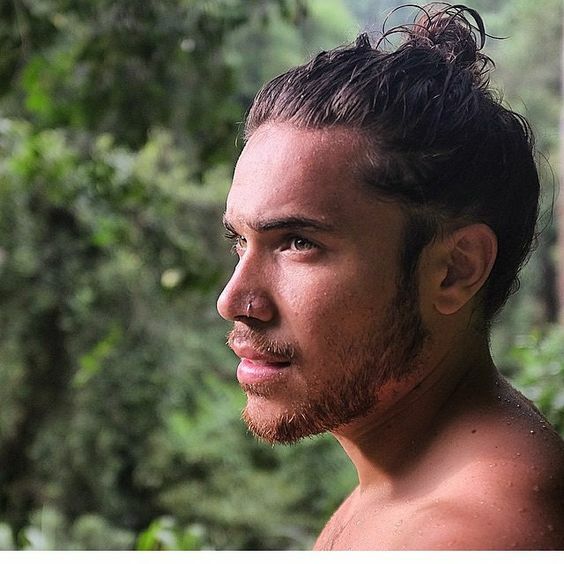 A very simple and usual nose piercing on a guy. 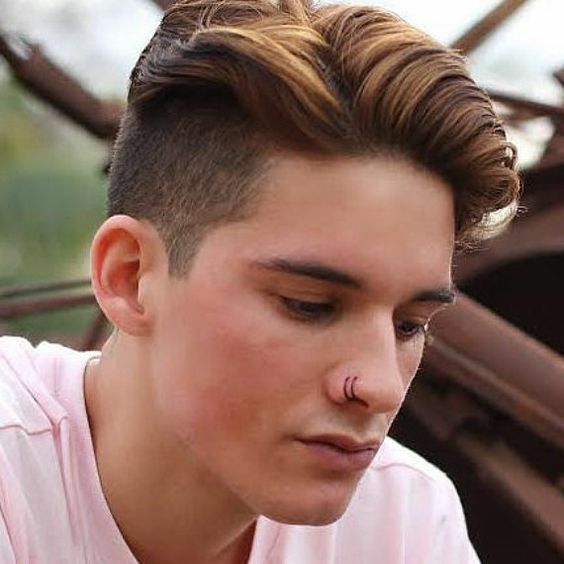 A simple nostril piercing donned by a male model. Beautiful nose and lip piercings.